A certified instructor will check out every person interested in taking out a Vanguard 15. This is to ensure that both the sailor and CYC's equipment are safe. Check out fee: $75 for 1.5 hours. At the Instructor's discretion, this fee may be reduced. Check out skills will be electronic and updateable. Those wanting to use the Vanguards over the summer will need to purchase a season's pass. The season's pass goes from June through August. 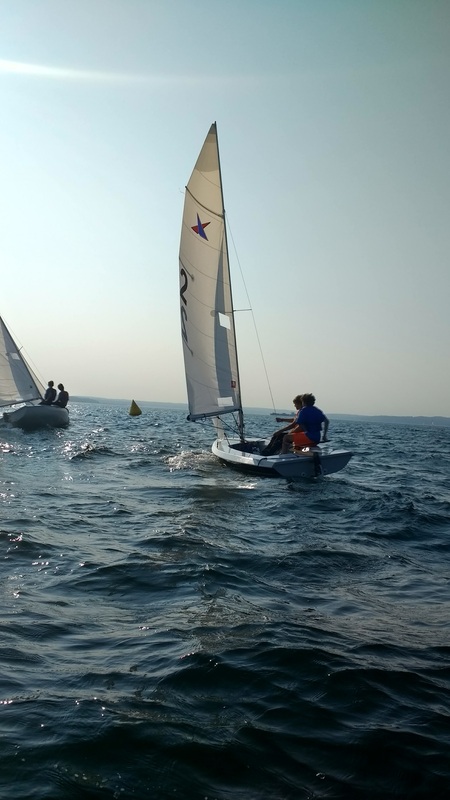 This pass allows members to check out the Vanguards anytime they are not being used by summer camp participants, race team practice, regattas, and clinics. Those people wanting to learn how to sail a Vanguard 15 or are wanting to improve their skills can arrange for private lessons. It can be much more fun to learn how to sail a Vanguard 15 or improve skills in a group setting. In order to set up a group lesson, a member has to agree to be the event coordinator. Group lessons are generally for four hours from noon to 4:00. Group lesson: $100.00 per person and at least 4 people need to sign up.